Benchmarking is one of the most efficient tools for initiating and maintaining continuous improvements. For smaller firms it means measuring success by the kilogram rater than the ton. Today size and numbers (e.g., visitors, media clips) may be of secondary importance considering reputation, credibility, trust and attraction regarding your product, service & brand. Ever more size seems to matter less while relevance, credibility and attraction do. If benchmarking your blog means making sure that measuring success becomes a popularity contest online, think again. Nevertheless, measuring you must. Understanding what your customer wants is key for achieving high performance. However, social media content has to serve a need your customer might have. In turn, unless you are a very large company such as Dell with many products you might get little response and interest in blogging about your products. However, in-depth content about the issues or needs your product addresses might get many interested readers. To illustrate, a bike user may not be interested in regularly reading (i.e. becoming a subscriber) a blog about the bicycles you sell. Reading a blog that talks about biking tours, healthy exercising with biking and other tricks and tips for bike enthusiasts and work commuters is a whole different story. This helps in creating interest and credibility for the blog and its content. For a freelancer or a micro enterprise, public relations and marketing are far more closely tied to business outcomes than they are in large organizations. Hence, having one’s CEO blog may do much good for public relations, press and the brand. However, attributing this important activity to the number of more products sold will be quite impossible. For a smaller company or non-governmental organization (NGO), getting three media clips might already spell success. Define what acceptable quantity and quality is such as one media clip in a regional newspaper (i.e. most important market) and one in an international newspaper each year. Even when doing this, the media clip must be linked to the desirable outcome addressed in point 3 below. Running an expertise-driven site means having about 90% of visitors or readers that might not be your primary target. These people might not go for the depth and quality you provide. Worst is that they most likely will never be willing to purchase your product or service. People looking for the quick hit and free advice are not your potential customers. Focus on those few that are clear candidates for spending money on your product. Hence, fewer readers from the right target group make the real difference for your bottom line. Therefore, what is a desirable outcome for your bottom line? For instance, we are quite visible in the social media space for information security and risk assessment. This resulted in us being to bid for a contract in this area. Amongst the six bidders we were the only micro enterprise competing and we won the contract. Of course, one of the critical obstacles was our size. The client felt there was risk in us not having enough key personnel available for the contract. In particular, the client was concerned about the possibility of one of the principles leaving the firm. What this might mean in regards to our firm finishing on time and within budget was an issue. Nevertheless, the client informed us during the kick off meeting that our long-term social media efforts had swayed the vote to accept our proposal against the others. Such desirable outcomes are hard to come by using a web analytics tool alone. Nevertheless, having a customer or potential customer subscribe to the firm’s blog is one of the desirable outcomes we are referring to here. Whatever you do, define and write down what desirable outcomes are for your business and how to report them best in your context. You have to make somebody responsible to count, measure and report how well you are doing in achieving what kind of desirable outcomes as identified above. 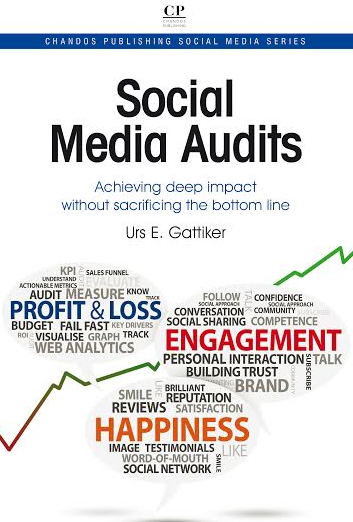 Unless you take measures regarding the outputs and outcomes regularly, continuous improvement regarding your use of social media is difficult to track if not impossible. Unless you are an online shop (no, accountants are not), keep in mind that we tend to collect everything while ending up with nothing of substance. Knowing where people are going on your site and where they are coming from is interesting. As well, what amount of time they spend on the site and what they are doing whilst visiting might give you important insights? However, does this knowledge provide you with insights that help sell more product or services? BuzzMetrics, Buzzlogic, Cymfony, Radian6, and Techrigy are all services that will bring a tremendous amount of data to your computer screen. However, it is your task to choose out of these data those that are most appropriate for you, in getting the information required to succeed in the marketplace. Just so we are clear, data are not information and knowing that 100 people mentioned your product on Twitter tells you something, however, what can or are you supposed to do with such information? Hence, focus on the key performance indicators (KPIs) that make a difference in your line of business. Please, ignore all the fluff that programs might give you as far as numbers are concerned and, instead, focus on those indicators that empower you to improve performance. When deciding about your KPIs, please keep in mind that more than four might distract you from focusing on what you should. Most important, unless these make sense to your company’s decision-makers, the set of composite indices you propose as KPIs are useless. As well, KPIs are useful if they show you trends that illustrate improvement or negative changes if they happen. To illustrate, comparing quarterly numbers is very common in the financial and sales world. However, if many of your clients are in Europe and you use Jan-March, April-June, July-Sept, Oct-Dec as your quarters, you must be aware that July and August are the months people go on summer vacation. Accordingly, based on the ‘summer vacation’ factor, your KPIs might drop for that period without suggesting lower performance, of course. Hence, make sure your numbers reflect this reality. As well, if your set of benchmarks or KPIs cannot be used to positively influence desirable outcomes (see point 3 above) why use such a KPI. Put differently, having 80 people provide positive comments on Twitter about your product last week is great. However, does it trickle down to a desirable outcome, such as getting additional clients or clinching another sale? If not, it is a nice number but your decision-makers will not be impressed, or will they? Even if we might agree that one should count whenever one could, a number in itself is meaningless, unless it provides you with the information that allows you to improve bottom line performance. 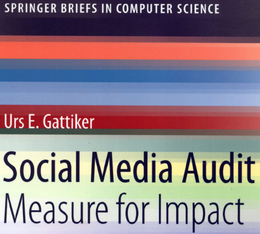 KPIs, benchmarks, metrics and so forth must allow you to show that your social media efforts help in generating higher sales, gain more clients or produce better grades in the courses you attend as a student. If you spend a lot of money to get much more traffic on your blog while being unable to meet the payroll this month, what good does it? More data are not always helpful for generating better performance. Please keep that in mind. Katie, thanks for the link I would even go a bit further, its not about brand but it is about who you want to reach or as I have called it audience….. Previous post: social media ropes to skip: C-level blogs FAQ #1 what have Southwest Airlines, JetBlue and Delta Airlines in common? Next post: SMIuk08 Conference: Should you ban Facebook?